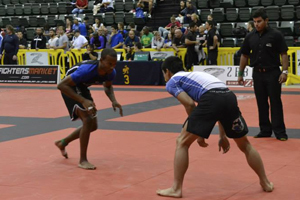 No Gi Brazilian Jiu-Jitsu is a form of the art that is practiced outside of the traditional uniform of a gi. While many of the same fundamentals of Brazilian Jiu-Jitsu (BJJ) apply, the change in uniform offers slight variations in approach and techniques. 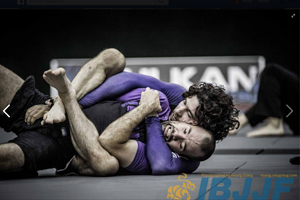 Much of the BJJ you see in mixed martial arts (MMA) today is taught in our No Gi program. Come try a class out and experience a different side of Brazilian Jiu-Jitsu! Our No Gi Program is an advanced class and is available to anyone with a white belt with three stripes and above.